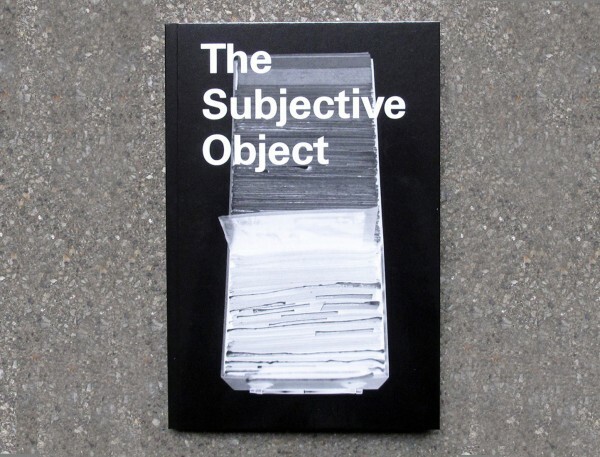 The Subjective Object engages with the controversial site of the ethnographic museum and the role of the archive. In particular, the 1920’s photographic archive of Indigenous tribes from India by the German physical anthropologist and racist theorist Egon von Eickstedt (1892–1965) serves as a case study for an investigation into the role of historical artifacts in light of contemporary political situations. The nine interviews with curators, artists, anthropologists, and social workers provide the core of the book actively discussing the complicated issues around the archive’s function in producing knowledge. An annotated thread of images serves as a critical apparatus addressing the visual history of ethnographic display and classification practices—both in the scientific field as well as the cultural field at large. Questioning the assumption that the archive presents the “fact” of the “Other,” three literary texts counterpoint the inherent fantasies within scientific research. Just as the book begins with an archive—the Eickstedt photos—the book ends with a new archive—photos of the exhibition The Subjective Object—(Re)Appropriating Anthropological Images at the GRASSI Ethnographic Museum of Leipzig—illustrating the project’s desire to not only engage with the history of display but also to propose a future of display strategies and social engagement. With contributions by Nicola Beißner, Anna Dobrucki, Jesko Fezer, Alexandra Karentzos, Carola Krebs, Julia Kurz, Britta Lange, Anja Lückenkemper, Barbara Mahlknecht, Meghnath, Katja T. Meyer, Ksenija Orelj, Christopher Pinney, Theo Rathgeber, Raqs Media Collective, Philip Scheffner, Katharina Schniebs, Nefeli Skarmea, Anna-Sophie Springer, Nora Sternfeld, and Edda Wilde. Literary texts in facsimile reproduction by Franz Kafka, Brion Gysin, and Suzan-Lori Parks. Published on the occasion of the exhibition The Subjective Object – Von der (Wieder-)Aneignung anthropologischer Bilder, GRASSI Museum für Völkerkunde zu Leipzig (June to August 2012) curated by Nicola Beißner, Anna Dobrucki, Anna Jehle, Julia Kurz, Anja Lückenkemper, Barbara Mahlknecht, Katja Thekla Meyer, Ksenija Orelj, Katharina Schniebs, Nefeli Skarmea, Anna-Sophie Springer, Edda Wilde, and Olga Wostrezowa. A project of “Kulturen des Kuratorischen” an der Hochschule für Grafik und Buchkunst, Leipzig. With generous support from the Staatliche Kunstsammlungen Sachsen.